Hurray! 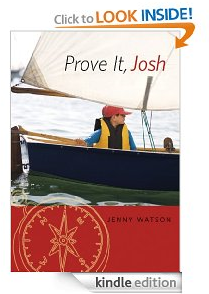 The Kindle ebook version of PROVE IT, JOSH is now available on Amazon! For those who prefer a paper copy – they’re coming really soon, I promise! Such wonderful news! Congrats Jenny! That’s SO exciting!! Well done, Jenny.